Everyone needs a good Chicken Noodle Soup Recipe. 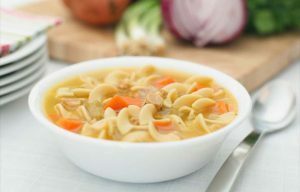 If you have a cold or just do not feel 100 percent, chicken noodle soup seems to warm you up and becomes the perfect healthy medicine to get well. Each chef has a special ingredient that makes his/her Chicken Noodle Soup Recipe unique. 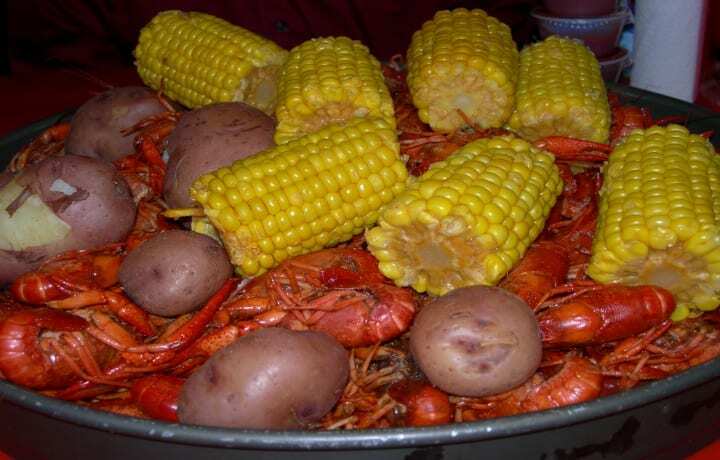 Our special ingredient is the Mulate’s Cajun Seasoning. Preheat the oven to 350 degrees. Place the chicken breasts on a sheet pan and rube with olive oil. Sprinkle seasoning on the breasts. Bake for 40 minutes or until cooked through. Remove the breasts from the oven and let them cool enough to handle. Discard the skin, remove the meat from the bones, and dice the chicken.